tee-shirts, bag, or free entry to class! 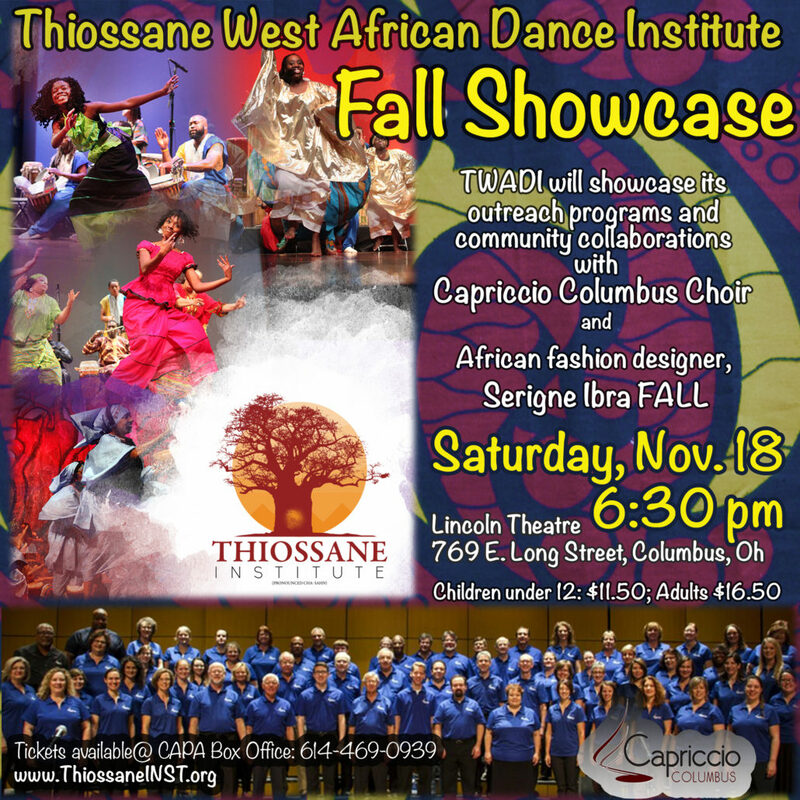 Come dance with Thiossane Institute as we host 2 dance workshops with renowned Senegalese dancer Idy Ciss! Register here. 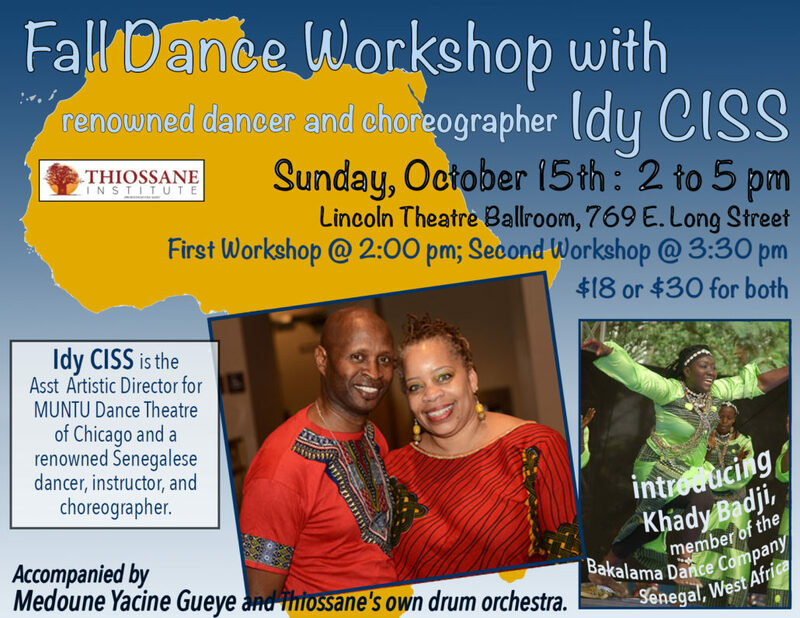 Idy Ciss – Asst Artistic Director, MUNTU Dance Theatre of Chicago and renowned Senegalese dancer, instructor, choreographer will facilitate two styles of dance in a 2 workshop on Sunday, October 15 2p – 5p In addition, Thiossane will introduce Khady Badji, Member of the Bakalama Dance Company in Senegal West Africa. 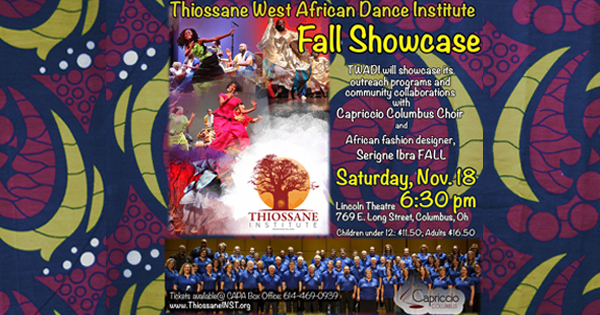 Accompanied by Medoune Yacine Gueye and Thiossane’s own drum orchestra. 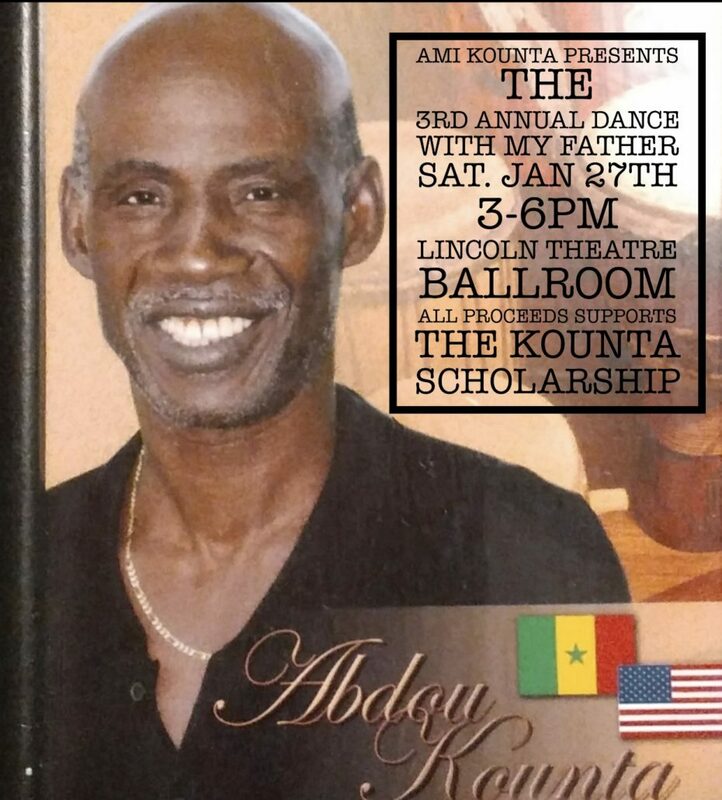 All classes are held at the historical Lincoln Theatre 769 East Long Street, Columbus, Ohio. Enter via RED DOORS. On line and on site registration is available.